Fantasy Grounds is launching Curse of Strahd today too! 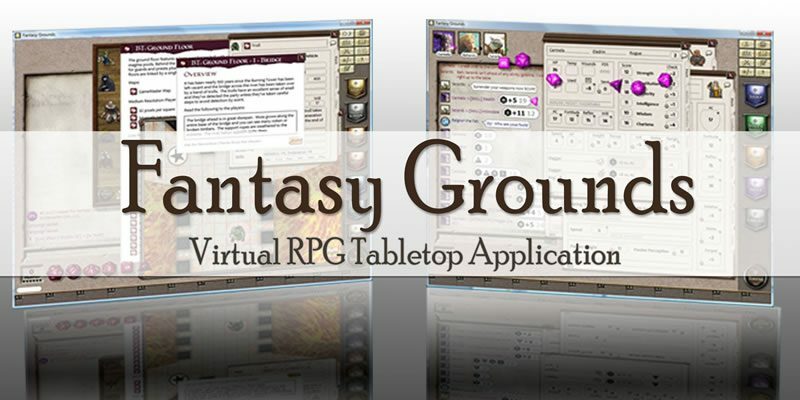 Fantasy Grounds’s digital tabletop version of the new storyline has all the maps provided in the book (for DMs and players) fully linked with content and monsters. 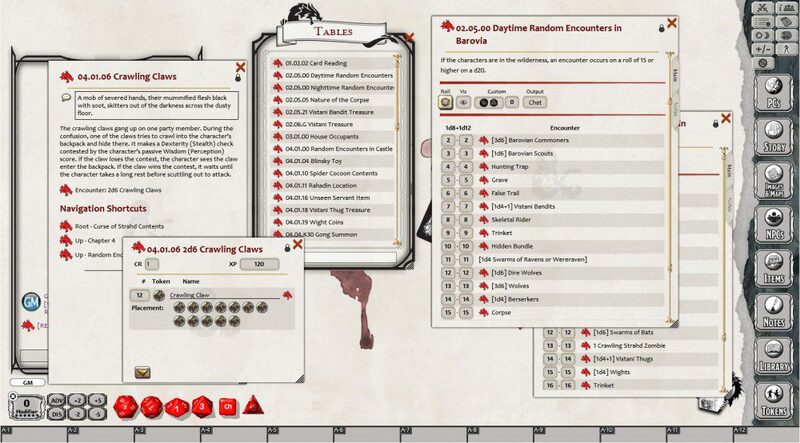 You’ll also find the full tarokka deck with a random table generator to “roll” cards. Also check out the gallery with 7 images below. 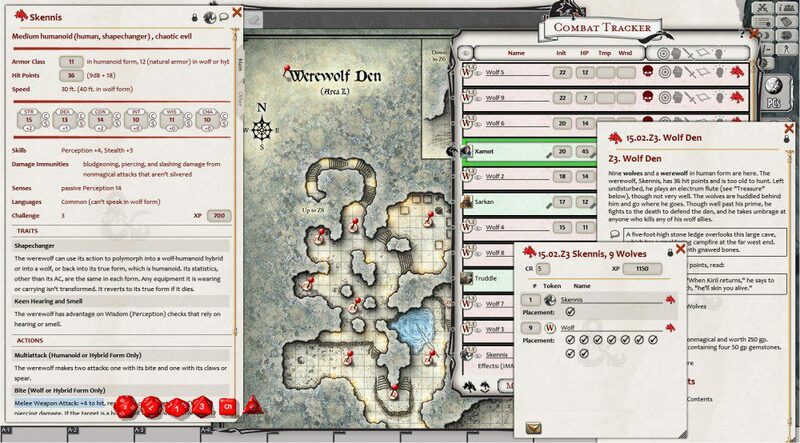 The Fantasy Grounds version of Curse of Strahd includes all the DM maps provided in the book, plus player versions of the maps. Both sets have been pre-linked with the contents of each area and with monsters preplaced in starting locations for all top-down maps. 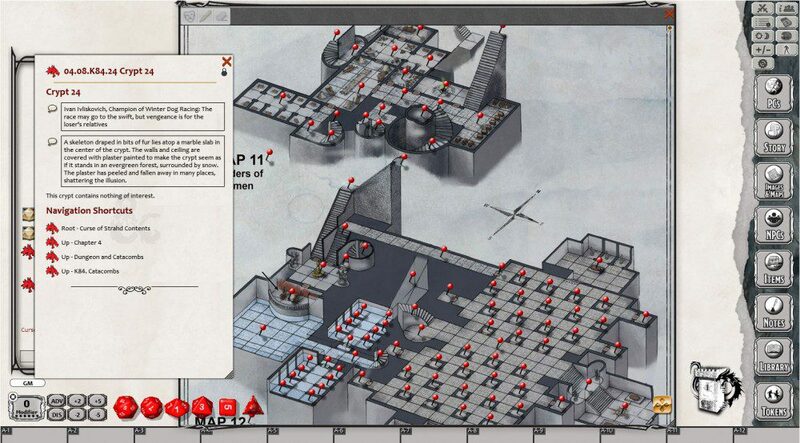 The Castle Ravenloft maps are prevented in an isometric format, and are pre-linked to the contents for each section but are not suitable as combat battlemaps. You can still share these with players to reveal things as they explore by cutting away the mask (fog layer – as appropriate for Barovia) without fear of revealing secret doors, traps or other hidden items. 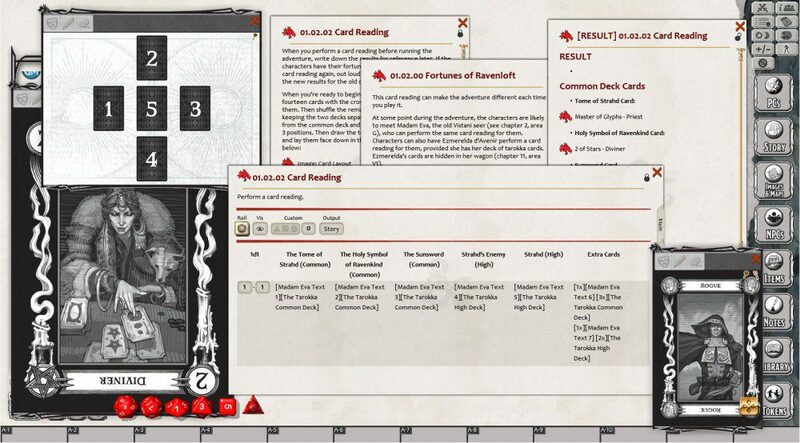 The module also comes with images for each of the Tarokka cards and a random table generator that can roll each of the cards and write the results out to a Story entry that you can refer back to later in the game as a DM. 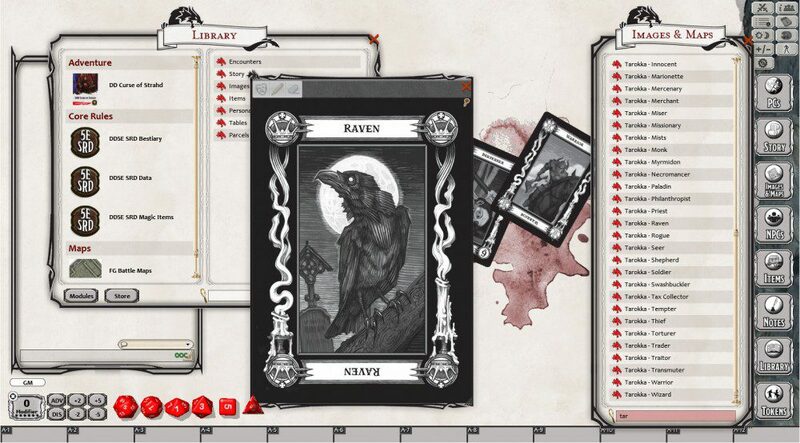 In the Curse of Strahd, the Tarokka deck influences where things occur within the story and ensures that each playthrough will be different. 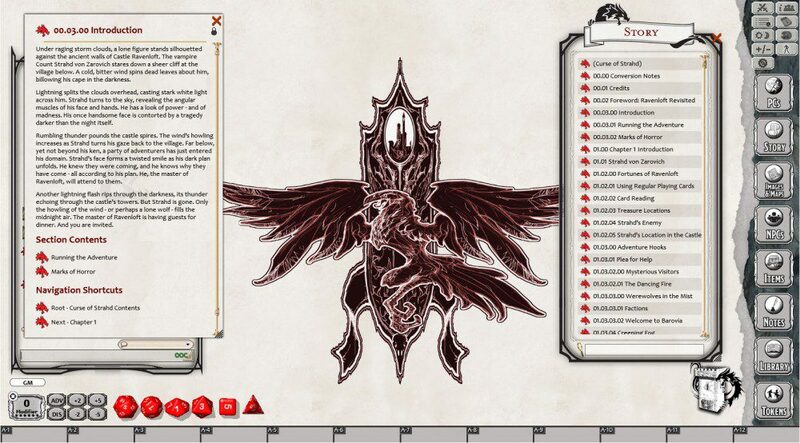 Finally, we’ve added some themed desktop decals that overlay the Fantasy Grounds desktop to help reinforce the experience of exploring through Ravenloft. 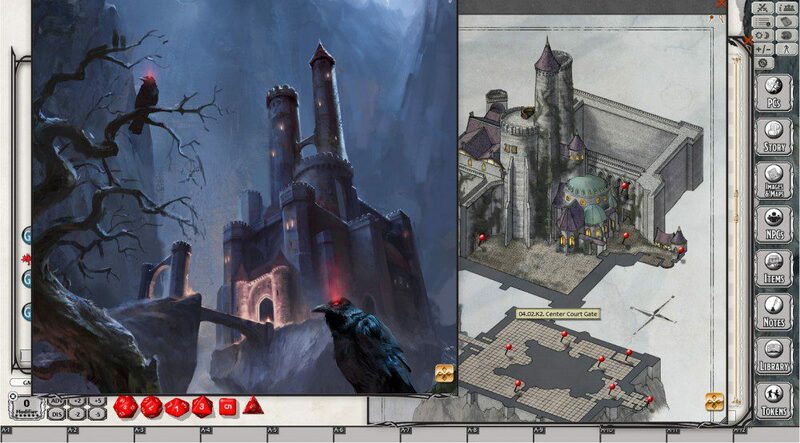 Note that the adventure also includes the Death House introductory adventure as part of the adventure. Check Appendix B in your Story window.